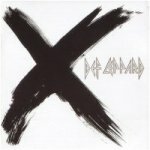 Def Leppard played a show on the X/Ten tour in Portsmouth, VA on 27th July 2003 and a fan review was sent in by Unchainedtiger. The show took place at the NTELOS Pavilion @ Harbor Center. Two other fan reviews are available from this show. "The crowd was especially moved by 'LLWTG' and the fact that it was sung for our men and women overseas as Portsmouth is a Naval town. Joe spoke of being invited to tour a navy ship earlier in the day and the fun the guys and crew had with the flight simulators!."